Want to see how Maui's other half lives? I'm not talking about the beachfront mega-mansions or the million-dollar condos. Rather, take a peak below the surface to discover an underwater world filled with electric-hued fish, rare corals, and exotic marine life. 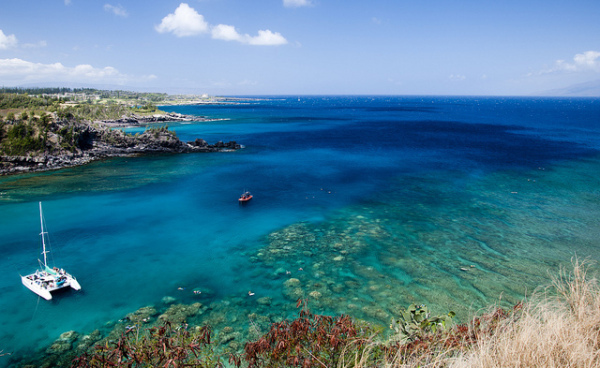 Indeed, Maui is home to some of the top snorkeling spots in the world – you just have to know where to look. I’ve lived on Maui for most of my life and through the years, I’ve explored the sea life that thrives within its crescent bays and coral reefs. 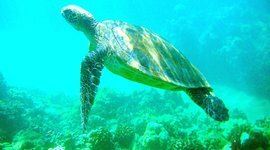 Here are some of my favorite Maui snorkeling beaches. 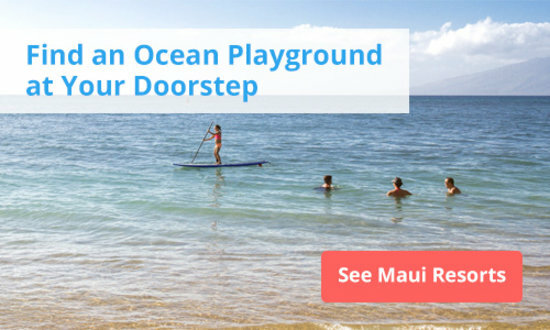 For those who want comfort and convenience, Ulua Beach is where it's at. 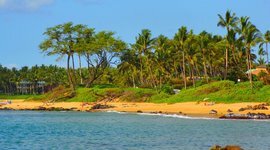 This popular snorkeling beach offers a gently sloping water entrance and sandy bottom, allowing Maui snorkelers of all levels to dive in at their own pace. Once underwater, you'll spot a variety of sea creatures, including the vibrant-belted wrasse, multiband butterflyfish, and colorful sea slugs known as nudibranch. Walk along the rocky outcropping at the north end to visit the neighboring Mokapu Beach (if you're facing the ocean, it'll be on your right). To return to Ulua Beach, simply follow the paved walkway back to where you started. Ulua Beach lies at the north end of the scenic Wailea Coastal Walk – a 1.5-mile stroll along some of Maui's best oceanfront views. You'll pass five white-sand beaches, resident sea turtles, and during whale season, you'll very likely spot our famous winter visitors. And if you don’t see them you can hear them. Location: Ulua Beach Road, just off Wailea Alanui Drive (north of The Shops at Wailea). Facilities: Shower and bathroom facilities, plus a paved parking lot. When to go: Snorkeling conditions are favorable throughout the year, however I'd recommend visiting in the early morning when winds tend to be lighter. Really, who can resist a green sea turtle? Sightings are nearly guaranteed here, due to the area's rocky underwater landscape, which affords ample resting spots and hideouts for the turtles. They also feed on the algae that grow on the rocks. Please note that green sea turtles are an endangered species and protected by law. For snorkelers, that means remaining at least ten feet away, no chasing after them, and certainly no touching. When snorkeling at Makena Landing, be careful and avoid stepping on spiny sea urchins – commonly referred to by its Hawaiian name "wana" – which are wedged between the rocks here. In fact, avoid stepping on corals at any beach; they are alive and fragile, and an important part of the underwater ecosystem. Location: Makena Landing Park, along Makena Road. Facilities: Showers and bathrooms; no lifeguards. When to go: Makena Landing sits along the same coast as Ulua Beach, and shares similar conditions. The star of the show here is the coral formations – some as much as 500 years old. 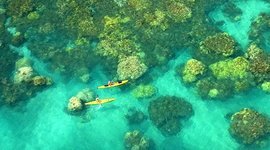 Peek below the surface to find a labyrinth of massive reef structures, sprawled across 450 acres. A majority of the Maui coral colonies actually grow on lava, but the reef at Olowalu is all coral. One of the largest colonies is a whopping 25 feet in diameter. It's places like Olowalu that rank Maui snorkeling among the best ion the world. The coral formations are amazing on their own, but the ecosystem that they harbor is even more remarkable. The reef teams with life from hundreds of species of fish to sea turtles and rays. You’ll also find a black-tip reef-shark nursery and manta-ray cleaning station. Best of all, even though Olowalu is known for its corals, Maui snorkelers of all levels will appreciate the soft, sandy bottom entry. Your toes will thank you! 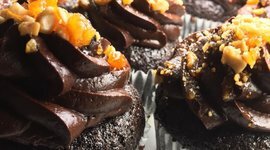 Facilities: While creature comforts are nonexistent – no lifeguards, showers, or bathrooms – some of the tastiest savory pies and baked goods on the island can be found a short drive down the road (towards Lahaina) at Leoda's Kitchen and Pie Shop . 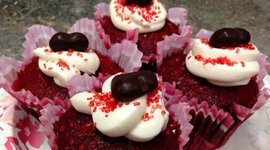 Next door to Leoda's, Olowalu General Store offers cold drinks, snacks, and prepared foods. When to go: Snorkeling is great here year-round, except when the surf is rolling in. During low tide, the corals are closer to the surface and easier to see. 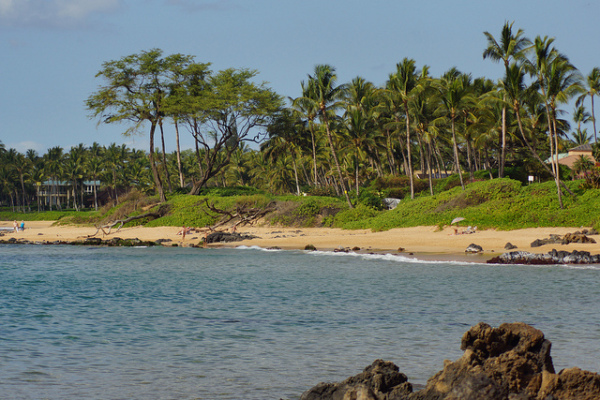 This stretch of sand will satisfy both Maui snorkelers and sun worshipers alike. The crescent bay surrounding Kapalua Beach is largely protected from the wind, making it ideal for viewing the underwater action. And if snorkeling isn’t your forte, you can always claim your spot on the sand and just relax in the sun. The best snorkeling is on the right side of the bay. But since the whole area is relatively small, it’s worth exploring from end to end. With depths of up to 20 feet, you’ll discover several layers of marine life. Location: Lower Honoapiilani Road, next to the Napili Kai Condos. Facilities: Shower and bathroom facilities available; no lifeguards. When to go: The water remains calm most of the year. The paved parking lot fills up fast, so get there early to claim a spot. Honolua is the crown-jewel of Maui's west side. Located a few miles past the Kapalua resort area, this crescent-shaped snorkeling beach boasts eye-catching landscapes both in and out of the water. For a great photo-op, be sure to stop at the bluff. If you're driving along Highway 30, just as Honolua Bay comes into view, you'll notice a small parking lot on the left side of the road. From here, you'll see the entire bay, along with Lipoa Point and the famed Honolua surf break. Honolua Bay is a favorite stop for Maui snorkeling boats, however you don't need to pay hundreds of dollars to take the family on an underwater adventure. If you have a car and snorkeling gear you can enter from the shore. The best snorkeling is found along the bay's north end (if you're facing the ocean, it's on your right). 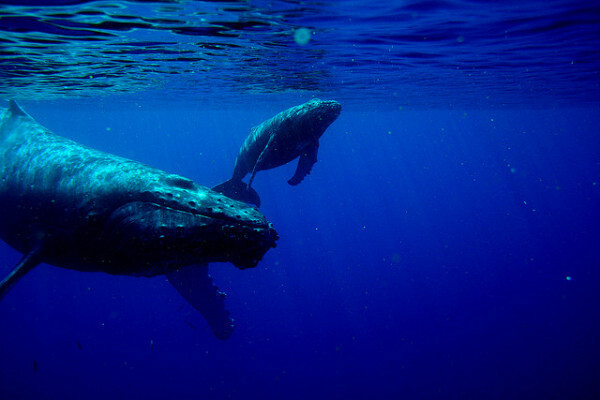 Enter the water from the rocky shoreline – which can be tricky for some – then swim about 75 feet out. From there, follow the natural curve of the bay. You can find green sea turtles, white-spotted puffers, octopuses, and unicorn fish. If you're lucky, you may spot one of the area's resident manta rays. Facilities: No lifeguards or showers, however there are portable bathrooms. Be sure to bring your own water and snacks, as there are no stores nearby. When to go: Snorkeling is best during the calm summer months. In the winter, large surf at the adjacent surf break makes snorkeling downright dangerous. Heavy rains can bring runoff and reduce visibility any time of the year. Born and raised on Maui, Lehia has been exploring the island for more than three decades. A self-described adventure addict, she can either be found on a surfboard, cycling around the island, or exploring a new trail. 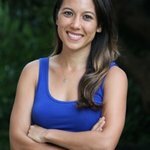 She is the managing editor at Maui Nō Ka ʻOi Magazine and writes a blog about life on Maui: www.MauiMagazine.com/EverydayMaui. This cool local grocery is a great place to get sandwiches and snacks after a day of snorkeling at Olowalu Beach. A gently sloping entrance and sandy bottom means you won't step on coral as you go in. Underwater, you'll find butterflyfish and cool multi-colored sea slugs.